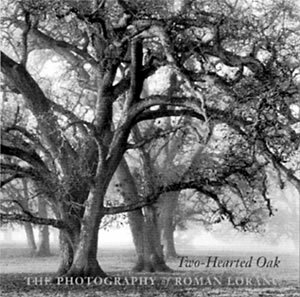 The Central Valley is the heart and soul of Two-Hearted Oak, a collection of photographs by Polish American photographer Roman Loranc (pronounced "Lawrence"). 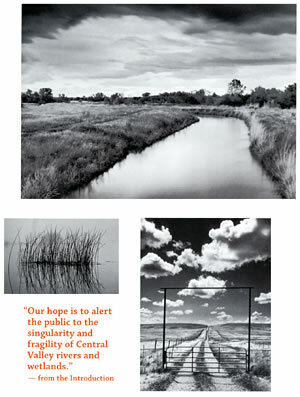 Eloquent essays and poems by Lillian Vallee complement the photographs. Loranc's photographs shimmer with a vision that is at once romantic and magical, and at first glance tinged with loneliness, melancholy, and longing. But ultimately we feel the artist's relationship with the land, a connection that is full of love, beauty, and above all, reverence. These are portraits of places and moments deep in the heart of the Central Valley, places that resonate deeply in the photographer's art. Stark visions of freshwater marshes, valley oak woodlands, rain-swollen streams, and other scenes reveal themselves to us. Visually stunning and sometimes ephemeral, they are testaments to the workings of the human heart and psyche. Two-Hearted Oak will delight anyone with an appreciation for nature and the art of photography. Roman Laranc's visionary reflections are those of a unique artist whose palette captures light and form and transforms them into images reflecting a depth of feeling rarely found in nature photography. It is a fitting homage to the Central Valley.